Unlock tickets with sound, smell in VR, control your smart phone using gesture recognition, watch Planet Earth II in 360 and taste the latest in oral hygiene innovation. There’s something for each of your five senses this week! Clever, don’t ya think? 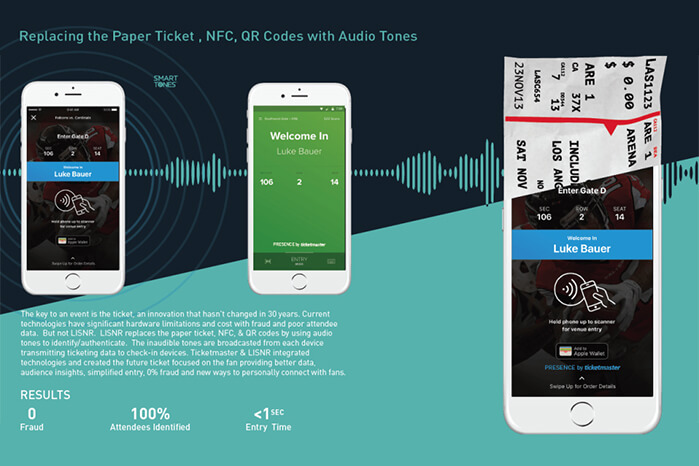 Ticketmaster is revolutionizing event experiences with “smart tone” audio data technology while Vaqso brings scent to VR. Clay has innovated gesture recognition with smart phones, BBC launches the virtual reality app Taster VR, and Amabrush reinvents the toothbrush. What do concerts, sports, entertainment and transportation have in common? These are all experienced by having a ticket. Tickets are our key to unlocking events and experiences; something that hasn’t changed for decades… Until now. Ticketmaster and Lisnr are revolutionizing how we enter events with a new e-ticketing system. Rather than having to manually scan a QR code or a barcode, Presence will check-in event attendees using audio data from their smart phones. “Smart tone” technology receives attendee’s audio data over their smartphone’s ultrasonic sound transmission to verify their mobile ticket ID. The sound recognition technology will reduce entry wait time and allow people to enter events with ease by just showing a green approved screen on their phones. Looks like Ticketmaster really is the Master of Tickets (I had to). VR technology has come a far way to create a truly immersive experience. Sight, sound and touch have all been conquered, but what about taste and smell? Vasqo is taking on one of the two missing senses by bringing scents to VR. Vasqo is a small device that clips to the bottom of your VR headset (compatible with Oculus Rift, HTC Vive and PlayStation VR). The gadget emits an odour pushed towards your nose by a small fan. The smells can last up to a month before having to switch out cartridges. The founder originally created the technology to emit scents as a way to heighten dining experiences, and hopes his invention will be of interest to advertisers and movie and game companies. The startup has already raised over half a million dollars from investors, but whether or not Vasqo actually takes off with VR, we’ll have to wait and see. Remember the feeling of amazement as you watched Tony Stark use his computer without having to click a mouse or touch a screen? Well, we’re one step closer to making this childhood dream a reality. Clay is a software development kit (SDK) that allows you to navigate your smartphone without touching it. The gesture recognition software tracks the user’s hand in 3D using just the phone’s camera. Clay can recognize over 30 hand gestures, allowing users to interact with their smartphones like never before. With the release of Apple’s ARKit, Clay is working on integrating their software with Apple’s, bringing the two together to create an immersive experience where AR meets gesture recognition, with nothing but a smartphone. Now all we need is J.A.R.V.I.S. to make everyone’s Iron Man dreams come true. 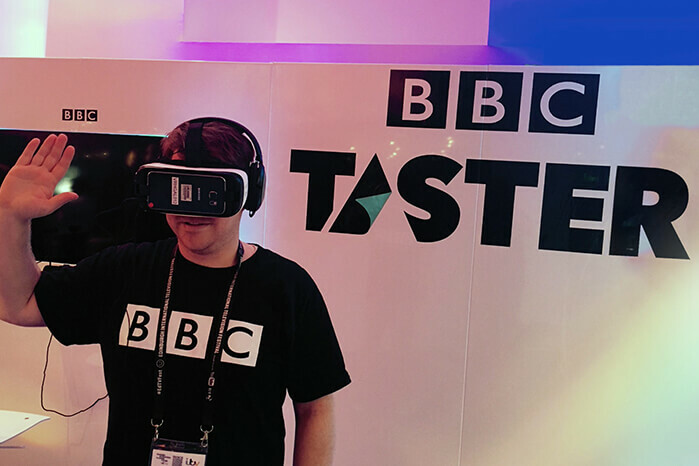 BBC has been interested in VR for a while, and they just made a great leap by introducing the BBC Taster VR app. Intended for use with mobile-based headsets, the virtual reality app will act as a hub for 360 degree videos and VR experiences. One of the most exciting options will be to view interactive, 360 degree Planet Earth II content while getting to choose your own path throughout the story. If you’re a fan of listening to David Attenborough’s mesmerizing voice while watching scenes of natural wonder unfold before you, this is sure to further enhance your Friday nights in. 5. Brilliantly Efficient, Or Just Plain Weird? Did you know that brushing your teeth can take up as much as 100 days of your life? That’s the (apparent) problem that Amabrush, the world’s first automated toothbrush, is attempting to solve. The nifty (read: weird) little gadget looks like a bristle lined mouth guard, and is currently looking for backers on Kickstarter. 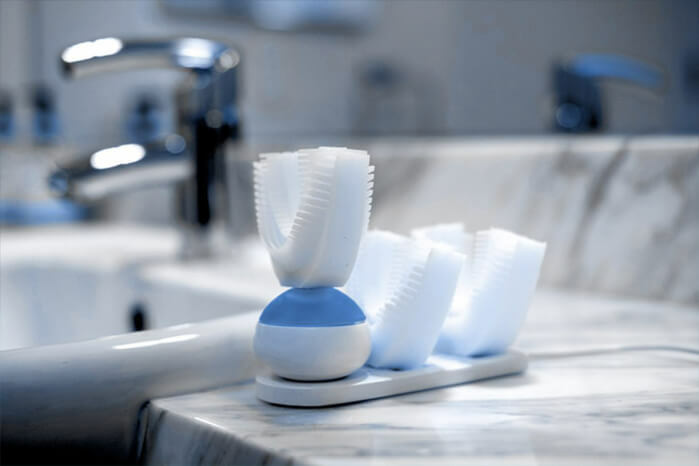 The “mouthbrush” cleans your teeth in only 10 seconds, completely hands-off, completely automated. Amabrush claims to be the “revolutionary new toothbrush,” but… Who was asking for the toothbrush to be reinvented, anyway?